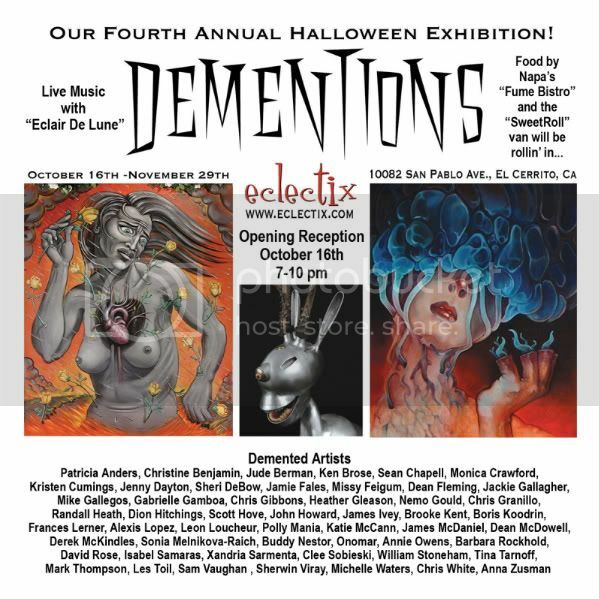 On October 16th the Eclectix Art gallery in El Cerrito, CA will be holding its Fourth Annual Halloween Art Exhibit. I will be one of the demented Artist’s offering my work. The show will run from October 16th through November 29th. Check out the Eclectix Gallery website to view a variety of up coming events.